You might have noticed it's been kindof quiet around these parts... I took the month of November off to spend more time with Dear Hubby and Babycakes, to really be present and enjoy the Thanksgiving holiday, and to rejuvinate a bit and refocus before the BOOK craziness begins! Remember I have a cookbook coming out soon?!?! January 15th to be exact. Soon I'll be doing a full sneak peek inside the book for you as well as a giveaway! But in the meantime, December is all about the cookies. 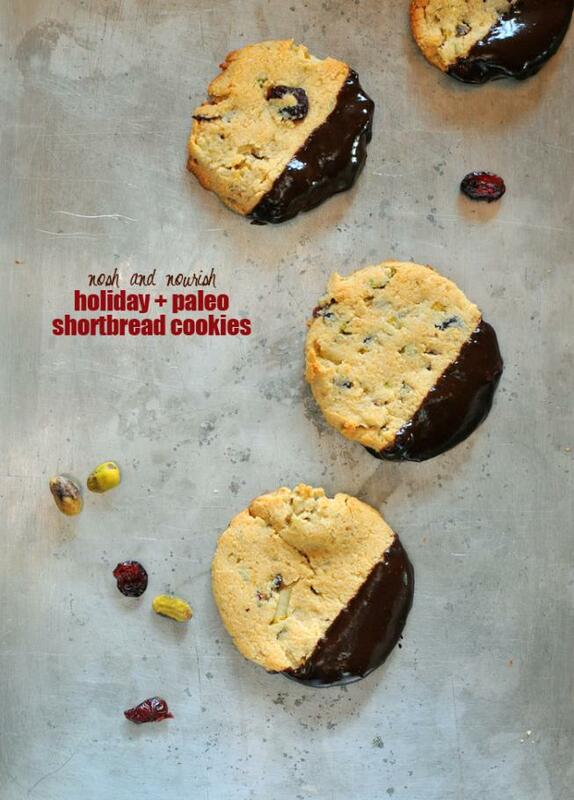 Today I've teamed up again with my blogging besties to bring you 5 delicious, decadent, and paleo-friendly holiday cookies for you. great to bring to a cookie swap! GET THE RECIPE BY SCROLLING DOWN TO THE BOTTOM OF THE POST. The decadent chocolate ganache is made from melted dark chocoalte, chocolate almondmilk, and leftover cranberry sauce! It adds an amazing flavor, but is completely optional... though highly recommended. I mean really, what's more comforting and Christmas-y that a big mug of hot chocolate topped with whipped cream, and peppermints?! All in cookie form. 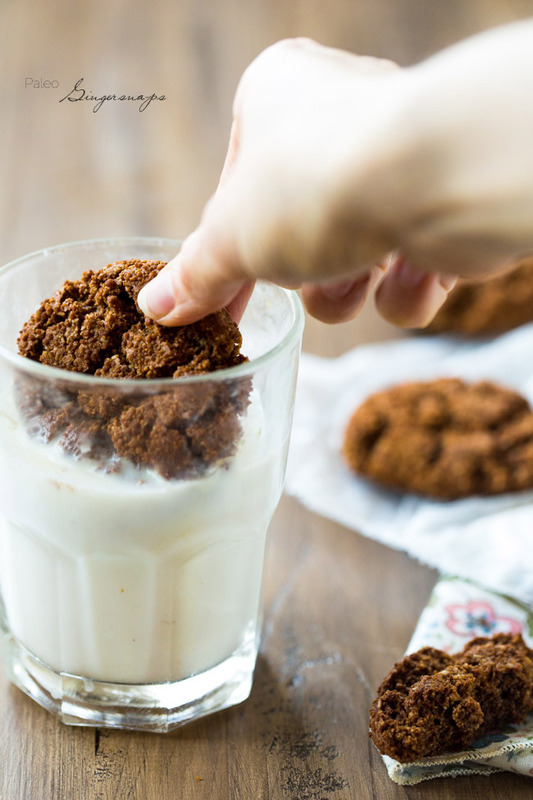 I have always loved gingersnaps. 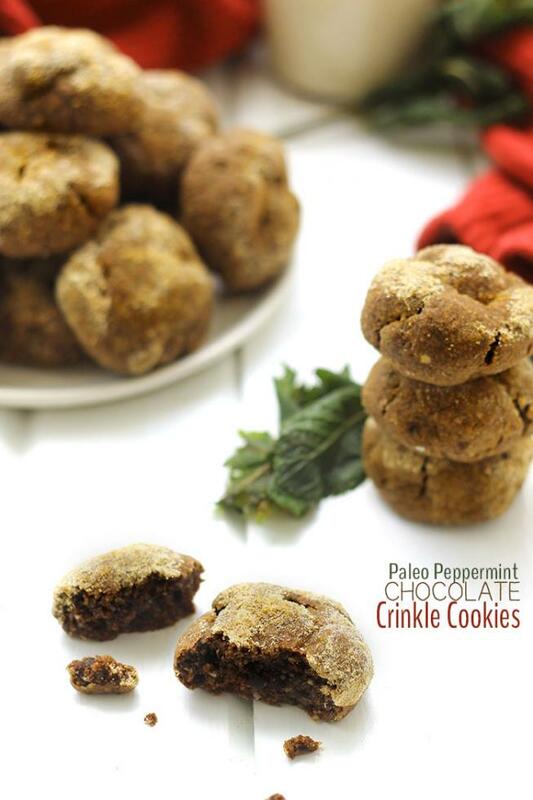 And these paleo ones are perfect to dip in a big glass of almondmilk! Mint + Chocolate + the genius use of ground up coconut palm sugar to make "powdered sugar" = pure bliss. 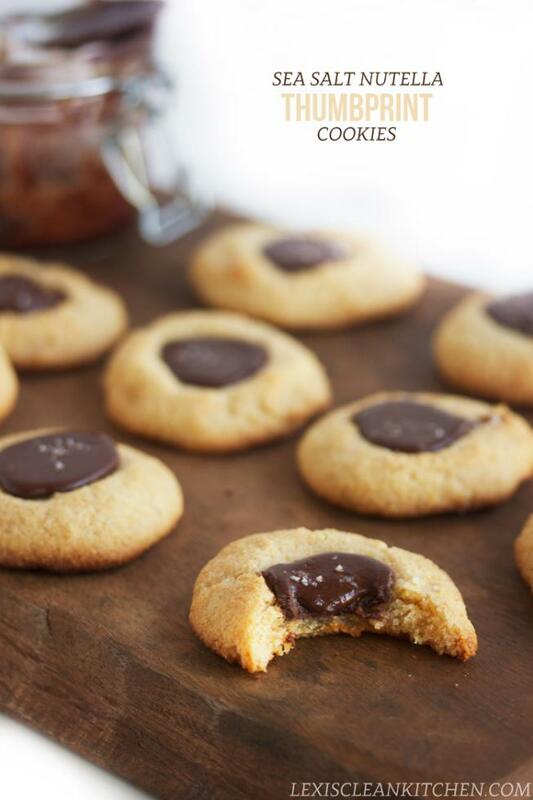 This is the ultimate thumbprint cookie -- she had me at sea salt and nutella. Give me all the cookies!!! 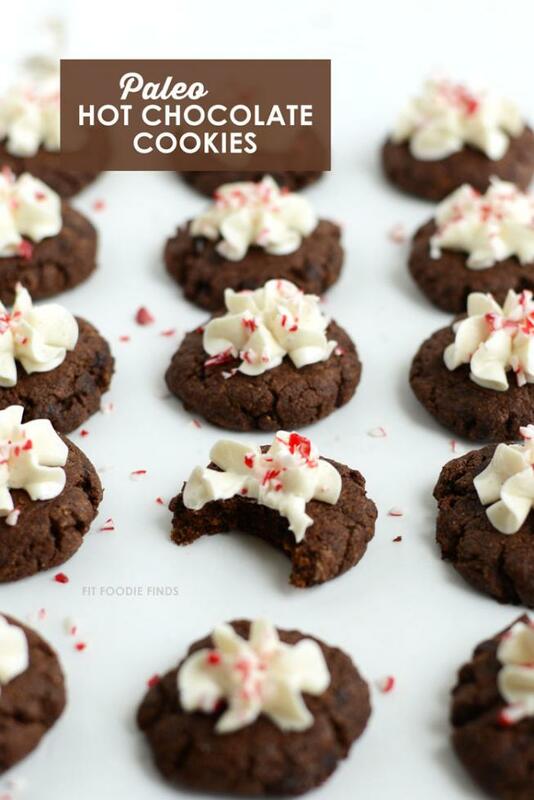 What are you favorite cookies to make during the holidays? I used a tablespoon of this leftover cranberry relish from Thanksgiving! In a large mixing bowl, combine the first 6 ingredients: melted butter, honey, pistachios, cranberries, pears, and vanilla. Stir in dry ingredients: almond flour, coconut flour, and baking soda until thoroughly combined and a dough forms. 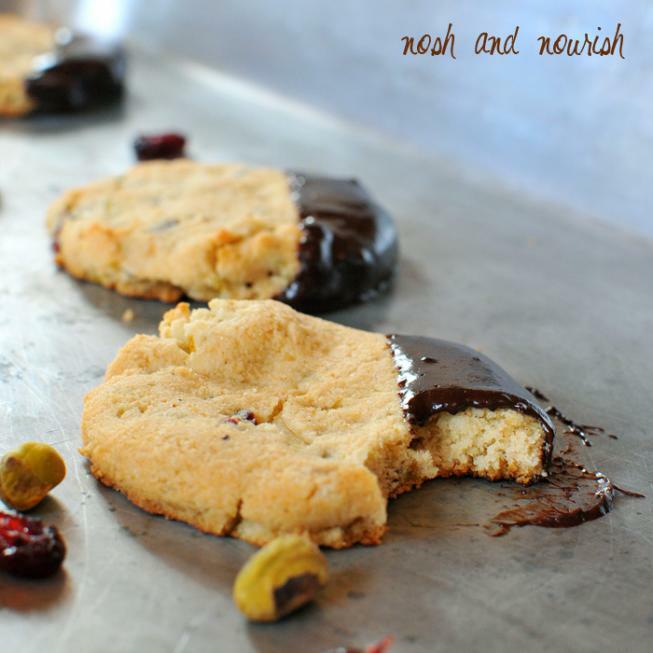 Either make small 1.5 inch balls and slightly press down onto a greased cookie sheet OR roll the dough out flat between 2 pieces of parchment and use a round cookie cutter to make perfectly round shapes and then place on a greased cookie sheet. Bake for 10 - 12 minutes, until slightly browned. Then, let cool on a wire rack. Melt the chocolate in a small pan over low heat. Stir in the almondmilk and cranberry sauce. Then, dip each cookie partway into the ganache. Set on a cooled cookie sheet for chocolate to dry.